Occasionally, a single incident can toss a woman into the headlines, establishing her as a leader of one of the most successful business empires. 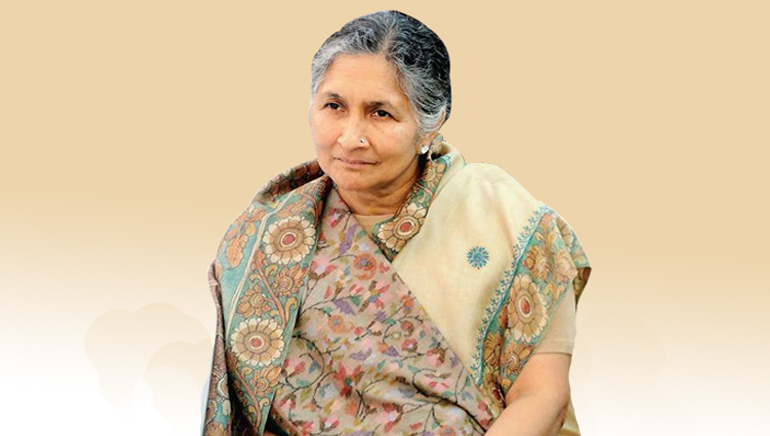 Savitri Devi is one such woman whose life changed after the death of her husband O P Jindal in 2005, and she was appointed the Chairperson of Jindal Industries. Having no clue about the business, she took charge with a view to unite her four sons; little did she know that she would become the wealthiest woman in Asia. A simple woman draped in saree, who had devoted her entire life bringing up nine children, is now the 4th wealthiest mother in the world. Savitri Devi didn’t have the slightest clue about her husband’s wealth till the year he died. She is an organized and self-composed woman who is always seen wearing a charming smile on her face. Being closely associated with Haryana, she was appointed as the Member of Legislative Assembly (MLA) and also served as the Minister of Power in the Haryana Government till 2010. Keeping the company’s legacy of setting up a school and a hospital every time a factory was set up, the Vidya Devi Jindal School, a residential school for girls in Hisar was built by Savitri Devi.